Let the redeemed of the Lord Shout for joy, for our God is good and greatly to be praised. "There is no man alive who has not been helped by God. The fact that you are alive is an indication of God's help over your life. Every great man is a product of God's help, for there is nothing we have that has was not given from above. "This is a song of deep appreciation to the finished work of Christ on the cross, a song of gratitude to God for what He has done and what He will do in our lives. International Act and recording Gospel Music Minister, Tracy Tolota dishes out her long awaited worship duel “Lord You God Good” in collaboration with another international powerhouse ‘Bumie Asuquo’. “Lord You Are Good” produced by the prolific ‘Dalorbeat’ is the last single release off the soon to premiered sophomore Album ‘Heavens Sound’ to be due this April. Verse 1: LORD YOU ARE GOOD LORD YOU ARE GOODYOU ARE GREAT YOU ARE GREAT YOU ARE KIND YOU ARE MIGHTY LORD YOU ARE WORTHY TO BE PRAISEYOU ARE KIND ,YOU ARE MIGHTY, LORD YOU ARE WORTHY TO BE PRAISE. Call: GOD IS AN AWESOME GOD response: HE IS AWESOME GODCall: GOD IS A FAITHFUL GODResponse HE IS A FAITHFUL GOD.Call: HE IS A MIGHTY GODResponse: HE IS A MIGHTY GOD. YOU ARE KIND ,YOU ARE MIGHTY GOD YOU ARE WORTHY TO BE PRAISEYOU ARE KIND. YOU ARE MIGHTY GOD YOU ARE WORTHY TO BE PRAISE. Loop Entertainment presenting to you their first official single by the sensational Act 'Gad'. 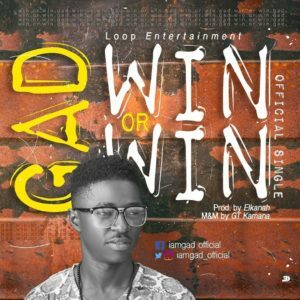 The act who is best known for dishing out nothing but good music from his kitchen is out with another mind blowing thrilling single titled 'Win Or Win'. I know the title already making you ask yourself a lot of questions, well, find the answers for yourself by listening to this new tune. 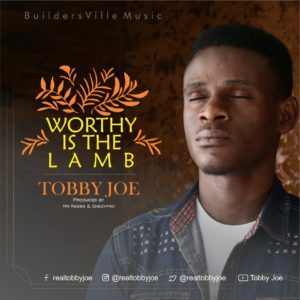 Gospel music minister Tobby Joe releases a new single “Worthy is the Lamb” as a follow up to his last single “I will praise you“, which was well received by lovers of God and his worship. “Worthy is the Lamb” has been described summarily as a sound that brings one into the very throne room of God as it soothes the spirit of the listener and makes him hunger and thirst for everything God. ONAGA BY TIM GODFREY feat. JJ HAIRSTON. After the release of Nara which burst out to the world. 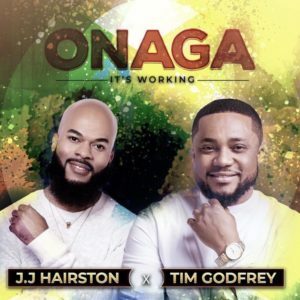 Tim Godfrey has released a new song titled ONAGA " it's working" featuring International gospel Artiste JJ Hairston. After the release of the hit single MIYERUWE just two months ago, a dance and second debut single of the multitalented and anointed Enea Kelvin, she returns with a new single “Speak to Me”, a total song of surrender and worship to the King of Glory. 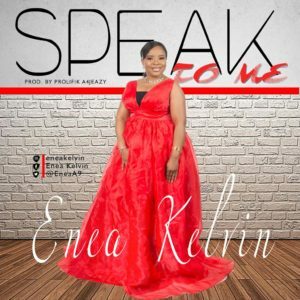 Speak to Me is the third single of Enea Kelvin and it was inspired in the place prayer. This song will provoke you to surrendering totally to the perfect will of God and also stir up your desires to listen and hearken to His words I appeal to you therefore, brothers, by the mercies of God, to present your bodies as a living sacrifice, holy and acceptable to God, which is your spiritual worship. Do not be conformed to this world, but be transformed by the renewal of your mind, that by testing you may discern what is the will of God, what is good and acceptable and perfect,Romans 12:1-2. God is sovereign over all things and yet disapproves of many things. That is, He forbids some of the things He brings about and He commands some of the things He hinders and if only we can listen and yield to Him, then there won’t be any hindering or room to regret, rather, things will begin to happen in scripts and you can begin to see lights ( Psalm 119:105. Thy word is a lamp unto my feet, and a light unto my path ). Here in this song, Enea Kelvin is calling on us all to surrender and yield totally to the will of God and ask Him to Speak to us every step of the way. 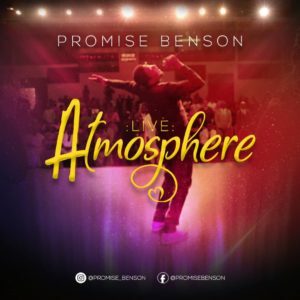 Prolific songwriter and recording artiste Promise Benson makes a major comeback with his new single "Atmosphere". Promise Benson who is recognized as one of the best songwriters to have emerged from this part of the country has penned down a lot of songs for so many artistes. The new single, beyond the beauty and the anointing it carries exudes the power of God and a yearning for His presence in our daily lives. Atmosphere is a cry and a reaffirmation that His presence is the utmost need of everyone. Promise Benson is married to Annabel and they are both based in Abuja. A New King is a song received by a young prophetic psalmist, Christopher Ikiebe Jnr (aka Ceejay) on the 22nd of December 2018. Ceejay’s mum came home from work shortly before his 6th birthday, he ran down the stairs telling his mum that he saw Jesus and angels but was not very coherent of his dream but said he received a song, as he started to sing the song, his mum brought out her phone to record the song. Ceejay sang the lyrics, sound and rhythm. His mum was led by the Holy Spirit to take him to Holy Ghost studio owned by Testimony Joe to record the song. Even through the recording, the power of God was tangible as he sang this song. The second stanza of the song was written by his mum and Ceejay grasped it immediately and sang it so well. 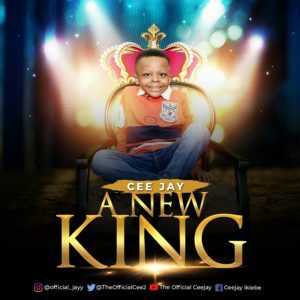 Ceejay has from childhood been a lover of music. He would sing even in other languages, songs he heard in his mum’s car. In 2013, he travelled on his first missions at the age of 10 months to Kenya and attended all the crusades held in the nation. He is a worshipper that enjoys lifting up his hands to praise God. 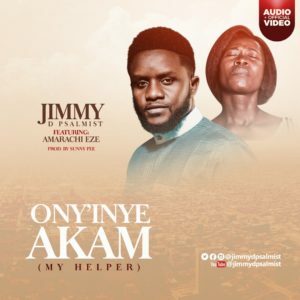 This song came after the monthly Wind of change night vigil held in December 2018, a minister noticed so much fire surrounding him as he played the conga drums and called other ministers to pray for him. Shortly after he had the revelation that led to this song, A New King. Ceejay has on many occasion been used by God in dreams to tell his family what God is saying including averting danger or to increase prayers. He loves to dance, model and currently had clips of Ceejay’s dance moves on his YouTube channel. Abiodun SAGE and TWcrew has now officially released the much anticipated Praise Medley tagged “Higher Praise Medley” for his audience and Fans. This Praise Medley release is a compilation of the everyday songs of praise that is rendered which a much contemporary approach. Higher (Praise Medley) features songs like Tonfe iyanu by Abiodun SAGE & Twcrew, Oluwa Etobi by SAMMIE OKPOSO, E YAWEH by Sonnie BADU, HolyGhost by Temitope Crownfit and much more. Higher (Praise Medley) is arranged by TWCREW which serves as the official Abiodun SAGE Music Team for 2019 and Produced by SMO (Sanmi Matthew). TWCREW is composed of excellent and Spirited Musicians with Damilare Oni (@official_deepegzy) on Bass Guitar, Adedeji Kolapo (@adedejikolapo) on the Drumz, Sanmi Matthew (@sanmimatthew) on piano and Omodara Tola(@izzyprado).